More owners surveyed in an Irish study sought advice from their feed merchant on choosing supplements for their horses than their veterinarian. More than 53% of respondents sought supplement advice from their feed supplier, followed by their veterinarian (46%). This was despite the fact that, in terms of influencing factors when choosing a supplement, 90% of respondents would have considered a veterinary recommendation to be most influential. The study team also found major misconceptions among horse owners over perceived testing and approval of equine supplements. University of Glasgow researcher Jo-Anne Murray and colleagues set out learn more about horse owners’ use and perceptions of equine dietary supplements in the Irish equestrian industry. The study team said the human health market was saturated with supplements claiming to do everything from balancing diets, improving athletic performance, to mitigating health issues. Although many claimed to enhance performance or alleviate health issues, there remained a lack of evidence-based studies to support these claims, the authors said. The researchers used an online survey, which yielded 134 responses – 70% from non-professionals and 30% from professionals. 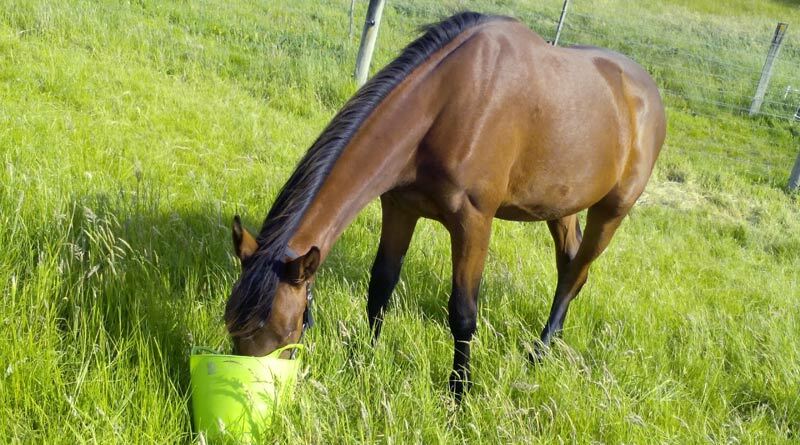 The study team, writing in the Irish Veterinary Journal, found that a greater percentage of professionals included supplements in their horses’ diets (98%) compared to non-professionals (86%). Almost 70% of professionals fed more than two supplements, whereas 80% of non-professionals said they fed only one supplement. Joint supplements were most commonly fed by all respondents (22%), followed by calming supplements (13%). The most common reasons reported for using a supplement were performance enhancement (35%) and prevention of joint disorders (34%). While 90% of respondents said they would consider a veterinary recommendation to be the most influential factor in choosing a factor, cost was also rated as an influencing factor by 69%. Most (93%) thought that feed supplements had to meet legal standards, and 72% thought that each batch had to be analysed for quality. Furthermore, 92% thought that the supplements were tested on horses before being launched on to the market. “Few regulations exist for human or animal nutritional supplements and in fact the majority of supplements are not tested for safety or efficacy,” Murray and her colleagues wrote. The authors said that while their study identified the main types of supplements used in the Irish horse industry, along with the reasons for their use, it also highlighted major misperceptions in how supplements were tested before being launched for sale. The survey respondents were not alone in this belief, the researchers noted. “In line with the findings of this study, the majority of consumers’ surveyed in the USA, on their understanding of how human dietary supplements are regulated, reported to believe that the Food and Drug Administration (FDA) analysed all supplements before they could be sold. “Moreover, in excess of 40% of human physicians in the USA surveyed were reported to believe that the FDA approved all dietary supplements before they can be sold to consumers. When horse owners were asked what they believed to be the top issues facing the horse industry, they did not express concern over the safety and efficacy of equine nutritional supplements. The overall results suggested that supplement use in Ireland was higher than that reported in studies conducted in the UK as a whole.